Over the past few months I have been seeing beautiful photos of Zoeva cosmetics all over Instagram, and I was intrigued to look further into them as the products looked really pretty. When I looked on https://www.zoeva-shop.de/ I was so happy to see that this company supports German charities that include violence against women, stem cell donation, and women in need! As I am a big lover of companies that give back to society and support charities, I just had to buy something! 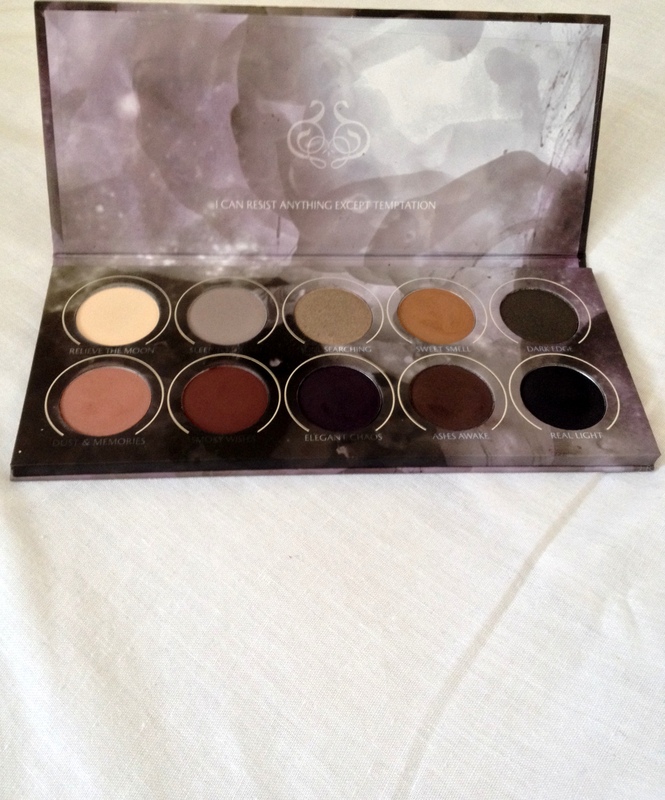 I picked out their Smokey pallete, a 10 piece eyeshadow set with smokey neutrals, browns greys a purple and a black. It comes in a cardboard style flip pallete with a beautiful smokey grey and black design on the front. 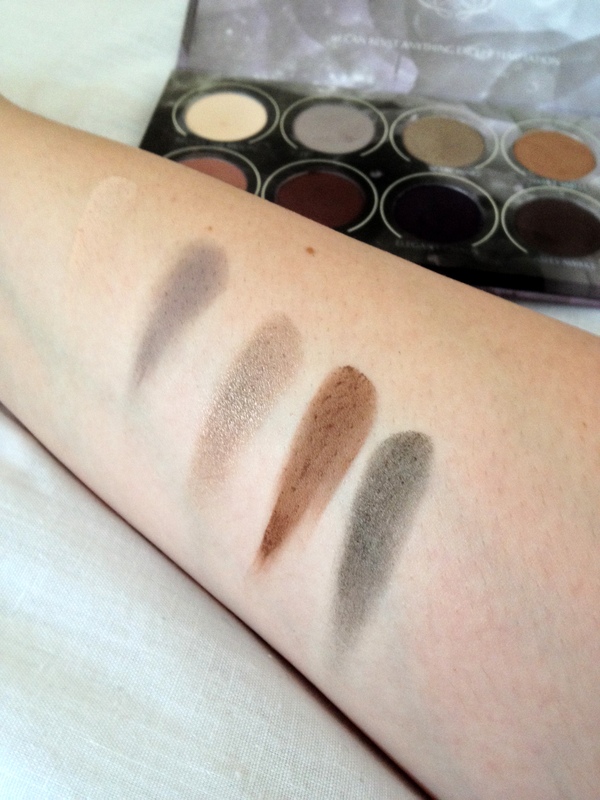 The eyeshadows include are (from left to right): Relieve The Moon, Sleep To Dream, Soul Searching, Sweet Smell, Dark Edge, Dust Memories, Smokey Wishes, Elegant Chaos, Ashes Awake, and Real Light. Having a highlight shade, crease colours, and matte dark colours really makes this pallete an essential for evening eye makeup ideas as you have everything you’ll need to create a beautiful and sultry look! 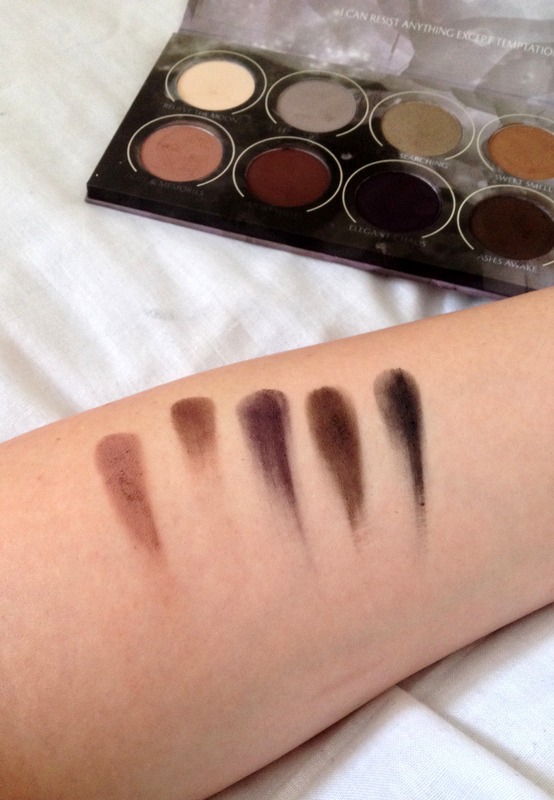 The quality of the shadows are really good and pigmented and blend nicely. I would put them on par with MAC, however possibly not as pigmented and as strong as Sleek. But none the less for the money I paid for this pallete it is well worth the €17.50 (£12.39)! I will definitely be buying more of the palletes and some of their vegan brushes! The shadow names are kind of cool. They make me think of the chapters of a story. I wish your pictures were bigger so I could see the colours better. Gorgeous palette though, I have the Mixed Metals palette and am so in love with it. The packaging is slim and beautiful and the colours are divine. If you click on the photos they should come up bigger? Yes it’s a beautiful product!